At Wednesday’s Television Critics Association summer tour, HBO kicked things off by assuring the press that while AT&T may be the company’s new owner, nothing is going to change quality-wise when it comes to HBO programming. The comments, made by programming chief Casey Bloys, were a direct response to those recently made by WarnerMedia head John Stankey (and leaked to the New York Times) at a Town Hall meeting with HBO chief Richard Plepler, in which Stankey bluntly said that HBO was going to need to crank up its production volume in order to compete with the likes of Netflix and Amazon. HBO has “no plans to dilute the HBO brand in favor of volume,” Bloys told the crowd of TV reporters and critics. If anything, Bloys said, HBO is delighted that AT&T will be funneling more investment into HBO’s coffers, something that was not happening under Time Warner as it prepped itself for a sale. All the more so given that Game of Thrones is heading into its final season next year and Veep is also about to wrap up. Although the HBO brand may well remain intact as the company takes more of a Netflixian, more, more, more! 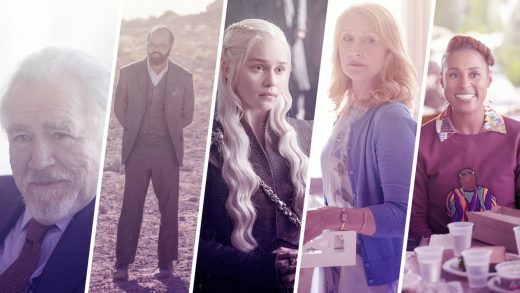 approach to making shows and movies—and we’ll be the lucky ones if it does—something that seems more vulnerable in the Stankey era is HBO’s culture. There may be no other company in showbiz that prides itself in its culture the way that HBO does, and it has fiercely protected that culture. Walk through the HBO corridors and you’ll find people who have been there for decades or more. While reporting a story on the company a few years ago and meeting some of these folks, one woman, who’d been at HBO for six years, described herself as a “baby” at the company. All of these people believe deeply in HBO and the HBO Way, and it explains why it has been such a consistent success over the years. This is not a place known for employee churn (something that cannot be said of Netflix) or phoning it in. HBO has shown in recent years that it can change its approach to distribution, with the launch of HBO Go and then HBO Now. But to become more of an output monster, HBO’s core production process will have to change, and with it, the culture behind that process. For seemingly ever, HBO has been the place where writers sell their shows and then assume they’ll never get made. That’s because the company puts hundreds of projects into development and then painstakingly works through them, asking for rewrites, reshoots, new character arcs, and so forth, before finally selecting the best of the best and giving them the green light. This “personal touch,” as Bloys put it, explains the company’s Emmy dominance year after year—though this year Netflix earned more nominations for the first time, a perhaps inevitable turn of events given how many shows Netflix makes. Netflix and Amazon, in contrast to HBO, have more of a microwave (or at least more hands-off) approach to making content. The downside is that many projects never see the light of day. Showrunner Dan Futterman, who was an executive producer, along with his wife, Anya Epstein, on the HBO show In Treatment, told the New York Times that following that show, he developed two other projects at HBO, including the adaptation of the Jennifer Egan novel A Visit From the Goon Squad. Neither got made, he said, noting that his projects were “among about 200 they were developing.” This experience meant that when, years later, Hulu made him and author Lawrence Wright an offer to adapt Wright’s Al Qaeda history, The Looming Tower, with a promise to go straight to series, they took it. Love it or hate it, HBO has always had a very distinct approach to building its slate. It’s hard to imagine that that approach won’t in some way be altered given AT&T’s new mandate. Will HBO now put 400 shows into development in order to determine the winning lineup? That seems improbable. But just as unlikely is imagining that HBO will adapt Netflix’s style and simply give writers millions of dollars and let them go off and do their thing with minimal interference. Somewhere in there there’s a middle ground, but it’s difficult to discern just where it is or what it looks like. However it gets there, HBO is a pivotal moment. Yes, it’s had those before but now there’s the pressure to help justify an $85 billion merger. When I met with Plepler and Co. a few years ago, they talked about the culture of collaboration and hand-holding that went into big decisions at HBO. Decisions were arrived at through “robust debate” and lively, transparent discussions. This often took time and a period of gradual persuasion, given how wedded HBO can be to a certain way of doing things. For example, when HBO first discussed licensing some of its shows to rival Amazon for a reported $300 million, some executives went pale in the face. Why would you put a show like The Sopranos in a Walmart atmosphere like Amazon? Why let viewers think they could get HBO shows anyplace other than HBO? Plepler said it took a good five meetings to get everyone, or almost everyone, on the same page. One of Plepler’s favorite lines is, “Culture eats strategy for breakfast.” Now, more than ever, that will be put to the test.